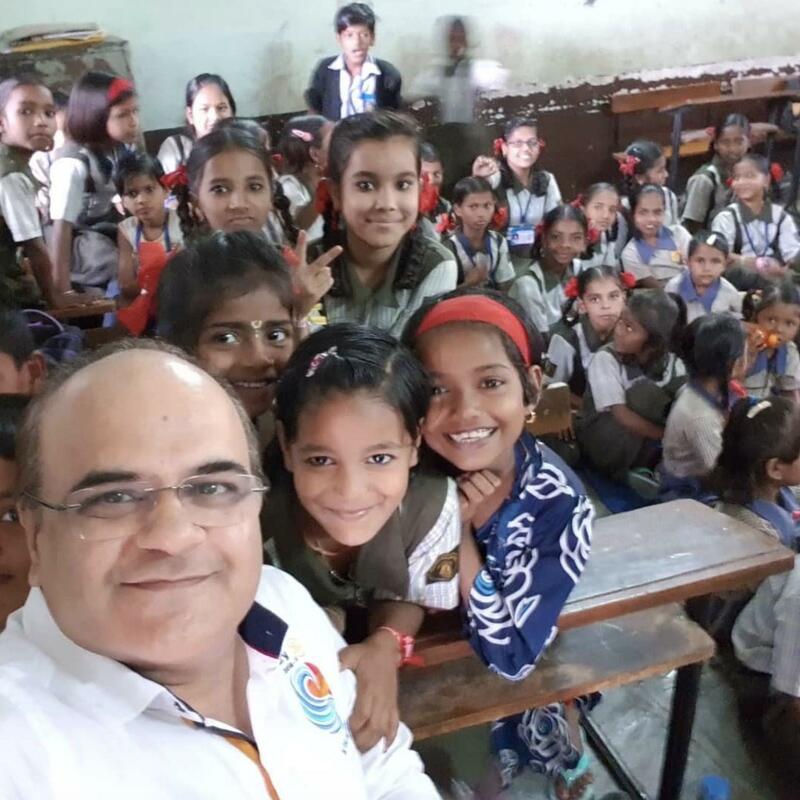 WASRAG Ambassador Dilip Mirchandani is a great advocate for water and sanitation projects in his area, but he knows that more toilets are not the full answer for a lot of villages. He promotes an "Adopt a Village" philosophy to help the village get out of their poverty situation. There is a staggering number of people that Jeffery Sachs calls “The poverty trap”. They want to work and improve their situation, but are so poor that it is impossible for them to extract themselves. HANWASH stands for Haiti National Clean Water, Sanitation and Health Strategy: a collaborative, national initiative by Rotary District 7020, The Rotary Foundation and DINEPA (The Haitian Government’s National Water and Sanitation Agency), partnering with other NGO’s such as Haiti Outreach and Pure Water for the World, committed to providing thoughtfully managed and sustainable clean water and sanitation to all the citizens of Haiti, along with the associated health, community and economic benefits. Young Water Solutions is an international non-profit organization aiming to develop and support the potential of young people to contribute to universal water, sanitation and hygiene (WASH) and water resources management. They achieve this by empowering young leaders and providing them with the tools to carry out water projects in their communities. They promote an integrated approach, that often addresses interlinked challenges such as climate change adaptation, reforestation, youth unemployment and food security. 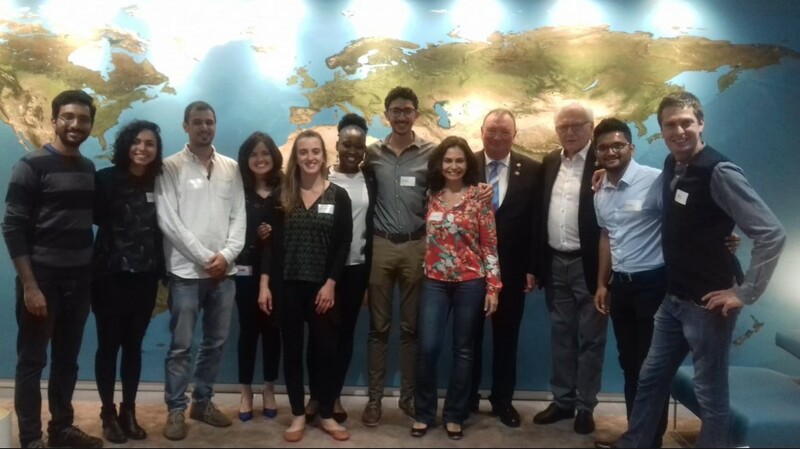 Since 2012, The Rotary Foundation has provided scholarship grants to 96 IHE Delft students from 31 countries so they could do their Master at the world leading institute for Water Management Education, the IHE-Delft in The Netherlands. The value of The Rotary Foundation grants program already exceeds 5 million US$. 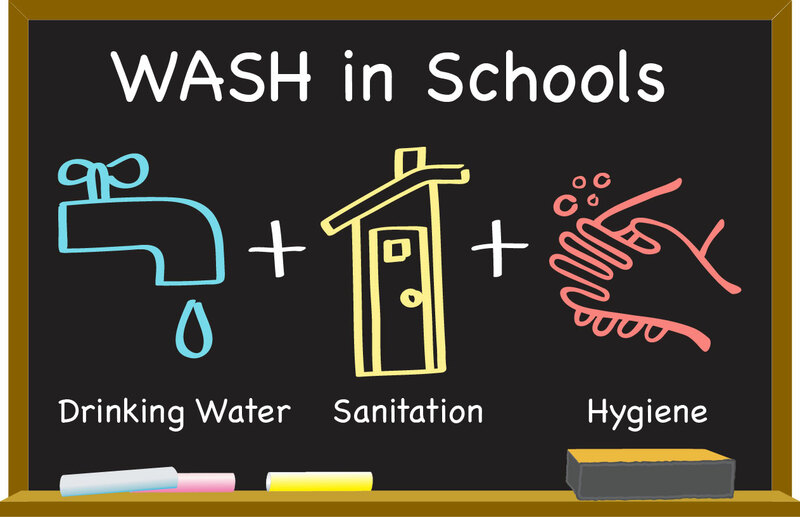 The WASH in Schools Target Challenge is a pilot program created to motivate Rotary clubs to develop sustainable WASH and education projects. The program will focus on measuring the impact that WASH and basic education and literacy initiatives have on school attendance. 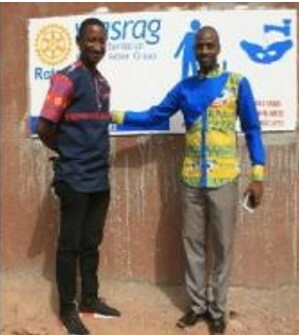 For more information visit: https://my.rotary.org/en/wash-schools-target-challenge or send an email to aof@rotary.org. The partnership between Rotary International and the United States Agency for International Development (USAID) combines the business skills and community leadership of Rotary’s volunteers with USAID's technical expertise and government relationships around a sustainable water, sanitation and hygiene (WASH) program in developing countries. Rotary and USAID have committed $2 million each to increase access to safe drinking water and sanitation, foster improved hygiene practice, and support community management systems and advocacy for environmentally sustainable, locally appropriate, and effectively financed water and sanitation services in Ghana, Uganda and Madagascar. 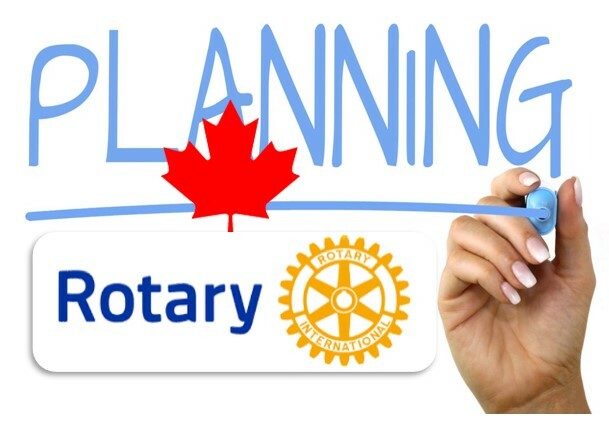 Rotary International is looking for clubs and districts to be sponsors for this exciting project and contribute towards the 10% ($200,000) Rotary needs to raise as part of their $2 million commitment. 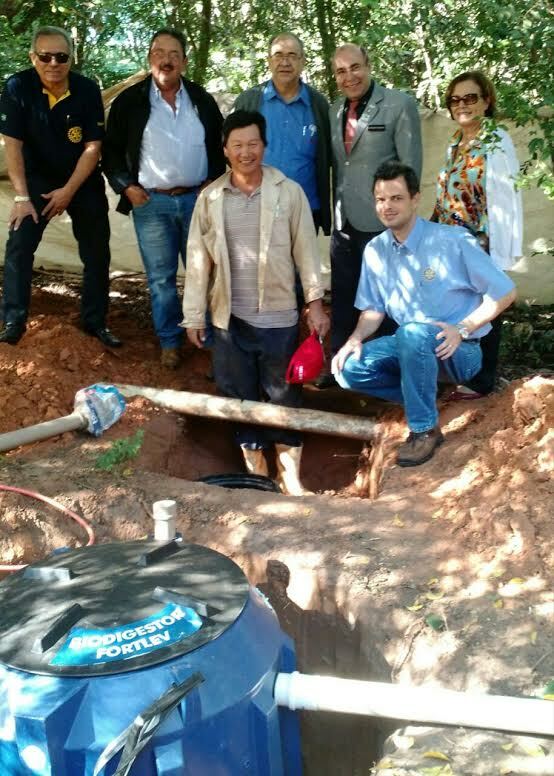 Rotary Clubs in Spain and Guatemala are working together to construct a water well in the village of Patzún, Guatemala. The well will be 1,200 feet deep. It will require a pump, distribution tank, chlorination system, pumping system for distribution and distribution network. Its estimated cost is $114,000 USD. 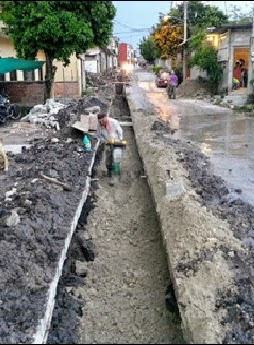 Maintenance has been coordinated with the municipality. This water system will benefit 500 families (approximately 3,000 people) who live on their crops of broccoli, peas and sweet pea, corn and fruit trees such as peaches, apples and plums. The clubs are using a Global Grant from The Rotary Foundation to undertake this important project in an underserved area of Guatemala. 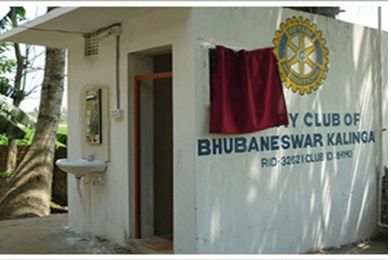 The Rotary Club of Bhubaneswar Kalinga, District 3262, after making a detailed study, adopted a school and an old age home at Nimapada, of District Puri, where 210 special abled children and 30 elderly men and women are staying. Where the students and the elderly were staying had minimal water and sanitation facilities. 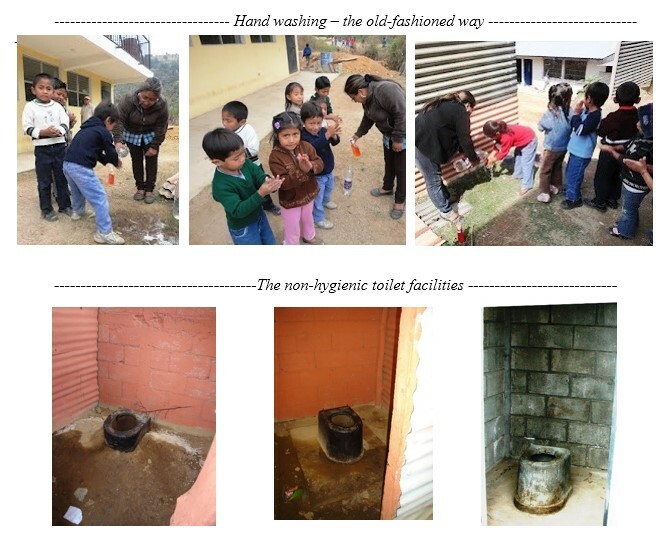 Now, after three years, the students and the elderly have beautiful washrooms. 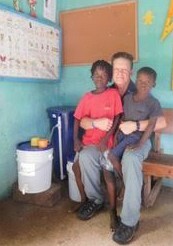 handwashing facilities, and clean water. In addition, the club provided the students with equipment so they could learn new skills and for the elderly improvements to improve their quality of life. Lack of clean water and decent sanitation facilities result in diarrhea and other water-borne diseases in children resulting in school absences. The impact is po or education and challenges for a better future. This is the “status quo” in rural parts of Guatemala with a significant indigenous population. The Rotary Foundation, through its initiative known as WinS – Water, Sanitation & Hygiene (WASH) in Schools, is intervening to improve education quality and access – particularly for girls. The idea is to leverage off from water and sanitation-related efforts and connect them with health, hygiene and education. The construction or renovation of the 5 units composed of 19 latrines in the village of Dialakorodji, Mali, has been sounded all over and beyond the village because of their timing and their adequacy in meeting the urgent needs. 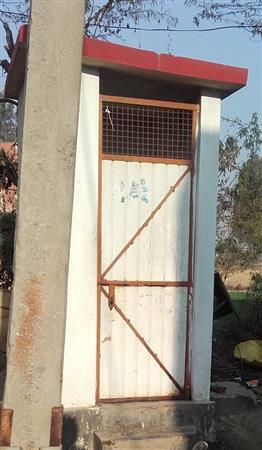 A school benefited with the construction of three units, consisting of 12 latrines and local market benefited with one unit consisting of four latrines. For the past five years, the Rotary Club of Vermillion, Ohio, with the passion and drive of John Hill, they have focused on bringing clean water to communities in Haiti. 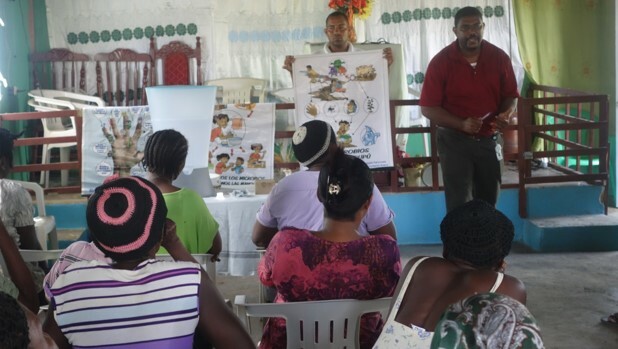 In 2013, the Club, with the assistance of others within District 6600 and 14 other clubs scattered across the US, partnered with Pure Water for the World to put 324 bio-sand water filters in 76 schools in the Mirebalais, Haiti area. This effort brought clean water to approximately 24,000 students and also the local community. 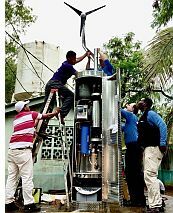 With a very successful project completed, the Vermillion Club decided to take on an even more ambitious project of bringing bio-sand water filters to 1,100 homes in Limonade, Haiti. The first accomplishment was getting all 63 CLubs in District 6600 to contribute to the project. The project gained momentum and became a multi-DIstrict project with District 6290 and the Elk Rapids Rotary Club. The multi-phase project is underway with the Rotary Club of Cap-Haitien being the host partner. 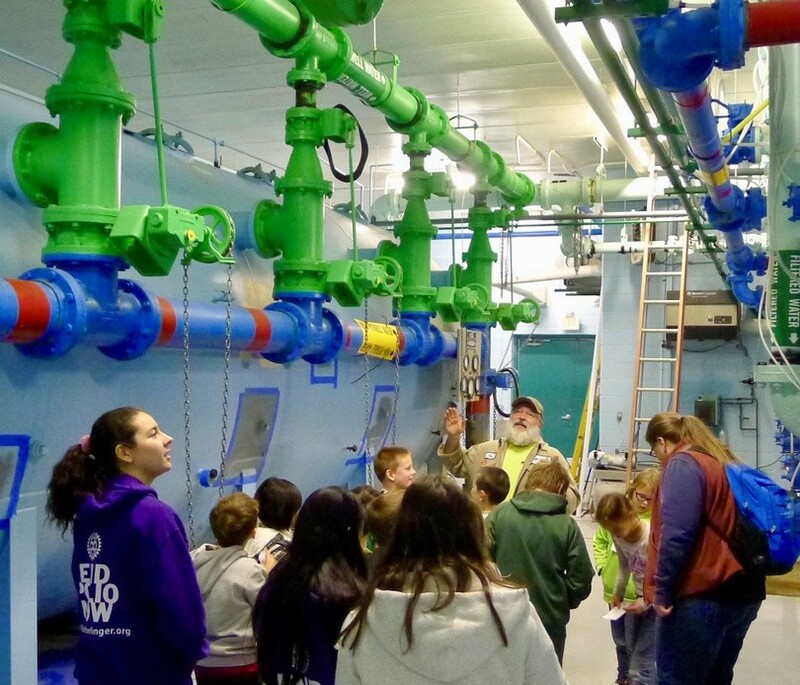 This spring, the Rotary Club of Columbus/ Fall River, WI recently completed Project WASH ( Water, Air, Sanitation & Hygiene) where they provided sustainability education related to a grade three class and to two Interact Clubs in their community. 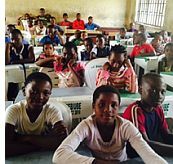 The Rotary Club partnered with the international sustainability education group, Children's Environmental Literacy Foundation (CELF) to provide the curriculum materials for the students. 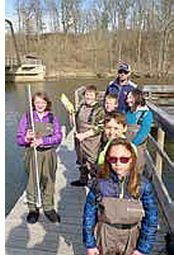 In addition to in-class education, the project involved students going on field trips to a water treatment plant, water facility, solid waste recovery facility, and the river in a local park. The students from the two Interact clubs involved in the project, having learned more about the water quality in developing countries, raised money to provide water-purification systems for schools in Kenya. 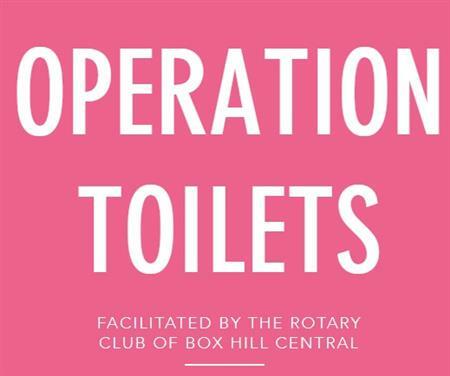 Operation Toilets is an initiative of the Rotary Club of Box Hill Central in Melbourne, Australia. The first project was completed in 2015 impacting on the lives of around 500 children in one school in the Indian city of Nasik. We have another underway near Delhi and two more currently in development, one of them in India and the other in Ethiopia. A small project has already been completed in Ethiopia as well as a number of small projects in India alongside the Global Grants and we are partnering in a new project in Ghana and exploring opportunities in East Timor, the Solomon Islands, Cambodia, Bangladesh and Central America. 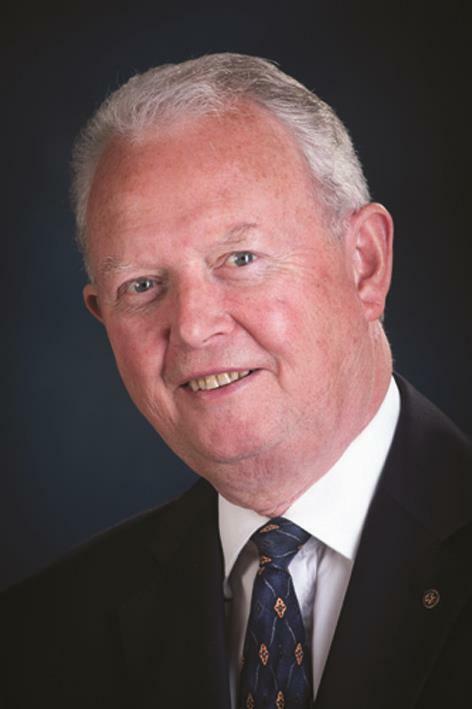 Having been a member of the Rotary Club of Mendip, UK, since 1976, Mike has served in many roles in Rotary. He is a Rotary Foundation Trustee (2017-21), Chair of The Rotary Foundation Finance Committee and the Rotary International Investment Committee. Mike was elected Chair of the WASRAG Board at the 2018 WASRAG Annual Meeting held in Toronto. This River Clean Up was done on March 23 in La Piedad Michoacán México, there the Rotarians involved students from three Universities UNIVA, CONALEP and University of Michoacán, Rotarians from USA D5130, México D4140, Ecuador D4400 participated in the Clean Up. This particular Clean Up was very emotional for me because in 2013 we started the River Clean Up project with the purpose that someday we would begin the River Clean Up of Río Lerma and this is the Rio Lerma, one of the longest and most contaminated rivers in México. 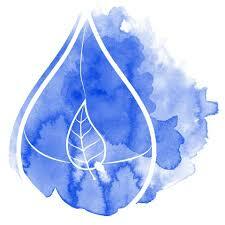 The sustainability of water and sanitation projects must meet the needs of the local community. It also requires enthusiastic support and participation of the Rotary districts involved, but also the cooperation of the local governments. A group of Rotarians in Mexico realizing the need to get local government support for water projects forged a long-term agreement with government agencies before starting on their pilot projects. Four years, after a Program Planning and Performance Team from Rotary and WASRAG visited Mexico and started the process, the pilot projects are nearing completion. With 23% of Mexico's population living in small villages of under 2,500 people, most without access to clean water, there is a lot to do. Water pollution from water run-off agricultural fields has contaminated drinking wells in Sri Lanka. An epidemic of people suffering from Chronic Kidney Disease has overwhelmed local hospitals and hundreds die every year. 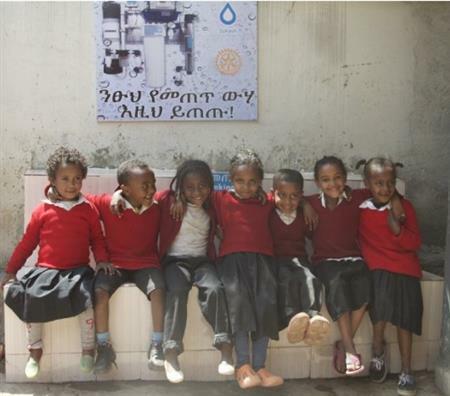 Eight Rotary Clubs in NW Ohio, District 6600, worked together to get a Global Grant from The Rotary Foundation to construct reverse osmosis systems for the communities most impacted. 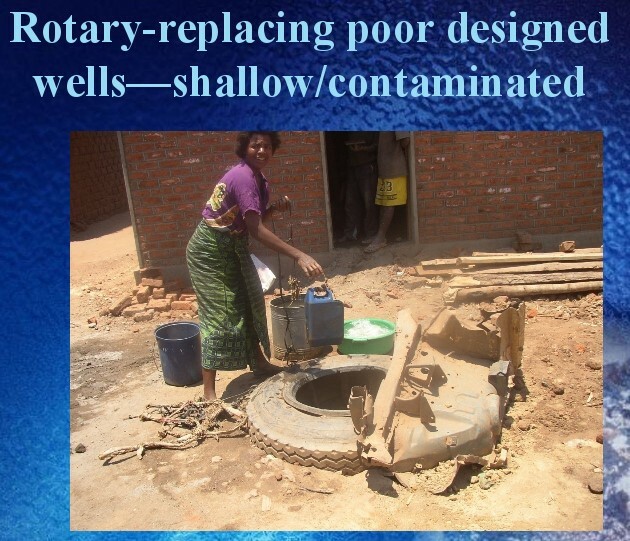 The Rotary Club of Lins partnered with the Rotary Club of Flower Mound to obtain a Rotary Foundation Global Grant to construct 69 septic tanks for 75 families living in rural Lins. This proper management of water will provide humans and animals with safer water to drink, but allow irrigation of fruits and vegetables to be done with water absent of contagious contamination. Life has been renewed for the community members of Buffujja and Naluhonjohe by two back-to-back water, sanitation, and hygiene projects coordinated by the Rotary Club of Bweyogerere Namboole (E. Uganda, Africa) and the Rotary Club of Bellingham (Washington State, USA). 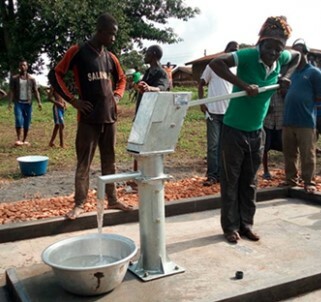 The people of Buffujja (population 6,000) and Naluhonjohe (population 10,000) now wake up every day with assured access to safe drinking water thanks to Rotary. These two impactful projects were funded by grants provided by the Rotary Club of Bellingham, District 5050, and the Rotary Foundation (GG 1417543 and GG 1743510). 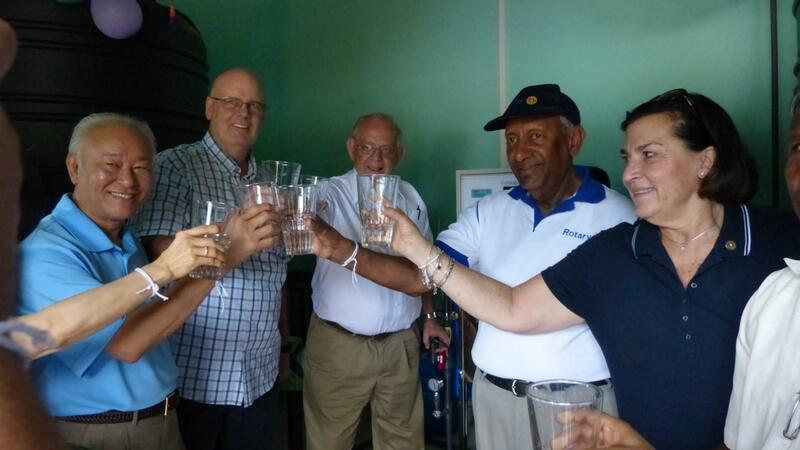 The Rotary clubs Woodside/PortolaValley, San Mateo Sunrise and Peninsula, working through the H2Opendoors organization installed a water purification system for a rural hospital in Nicaragua. An international water and sanitation symposium, recently held in Tel Avv, Israel, brought together representatives from around the world. The focus was on the importance of education as an important first step in dealing with the WASH issues the world faces. The speakers at the conference agreed that the water crisis is not due to lack of resources, but is due to poor management of the existing resources. "Rotary Hands Across Water" was an interesting component of the symposium. Junior high school students exhibited various projects on the efficient use of depleting water resources. In our "Ask the Experts" series from the WASRAG Newsletter here is a response to a question about "How long can rainwater be stored?" After a full needs assessment, five schools in the Niger Delta have been selected for a Water, Sanitation and Hygiene project. Clubs can provide the complete funding for a project or work together with other clubs to jointly sponsor a project. District 3054 that covers the area of Rajasthan, India has undertaken a Signature Project of Providing Wash, Sanitation, and Hygiene facilities in 500 Government Schools. 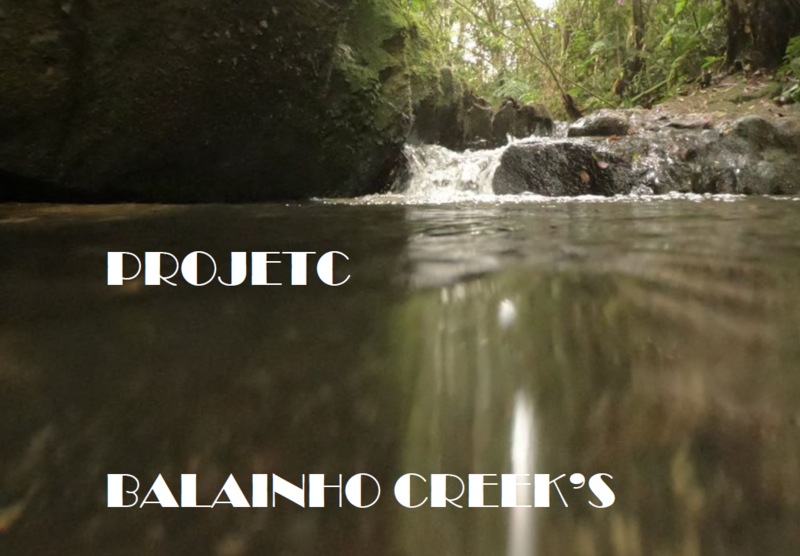 They are seeking International Partner to assist with this significant WASH project. We have designed six projects for these 500 schools each having a budget of around $150,000. We would welcome International Partner who can contribute around $30-40 thousand out of their District Designated Funds. Smaller contribution are also welcome. 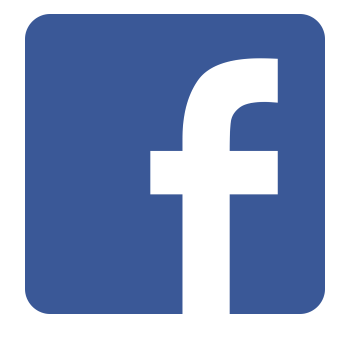 We are looking for two to four partners for each project. 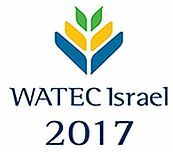 On September 14, 2017, an international symposium organized by the Israel Rotary District's Water and Sanitation Committee, chaired by WASRAG Ambassador PDG Avner Fuchs, will focus on the Global Water and Sanitation Crisis - Alleviation by Education and Training. Next to this symposium will be the Rotary Hands Across Water Cross Culture Education program, where exceptional students will present their innovative solutions to the global water crisis. The first piped rural water systems in Livingstonia Malawi was constructed 100 years ago by Dr Law. In 2006, a group of Rotary Clubs working with Central Church of Africa Presbyterian (CCAP) and village leadership completely rebuilt and expanded the system. The totally gravity flow water system now serves 10 villages and the commercial center of the Livingstonia Plateau, which includes the rural University of Livingstonia and a hospital. The system provides water to about 20,000 people. 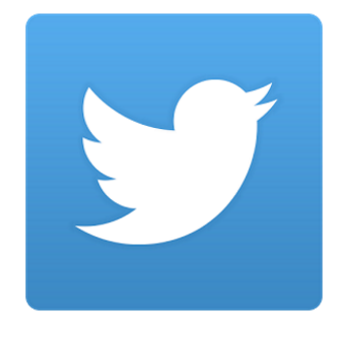 The water supply is a "high elevation two spring supply" that flows at low flow with about 20 litres per second. The watershed is protected by village rules and the entire area and system is under the over site of the Central Church of Africa Presbyterian. The two springs were redeveloped with two screened intakes that flow into a five chamber concrete settling basin--the only treatment of the water. Future plans call for some disinfection, however the water is of very good quality. The water flows from the Settling Chamber about two miles down through a valley and back up to the Plateau to several storage tanks. One of the ten villages is served off of this transmission line. The other nine villages and the Plateau are served from the terminal storage tanks on the Plateau. Rotary Clubs of Lebanon Mega Project - "Securing Clean Water in Lebanese Public Schools"
The mission of our Organization is to invest in meaningful and innovative services, which encourage the cooperation of multiple clubs in the district in general and Lebanon in specific. 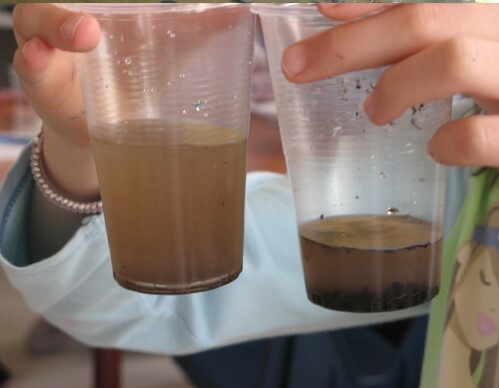 Water Filtration for Public Schools in Lebanon has been identified as a Mega project aiming to encourage cross-cultural understanding, fellowship and goodwill. In the eastern Dominican Republic, sugar cane cutters and their families, largely Haitian immigrants, live in very primitive conditions and have many health concerns, including prevalent waterborne illnesses. A recent Global Grant from Rotary International sponsored the purchase of 1560 Kohler Clarity water filters to provide potable water and to launch a new not for profit business to continue this WASH initiative in these communities. 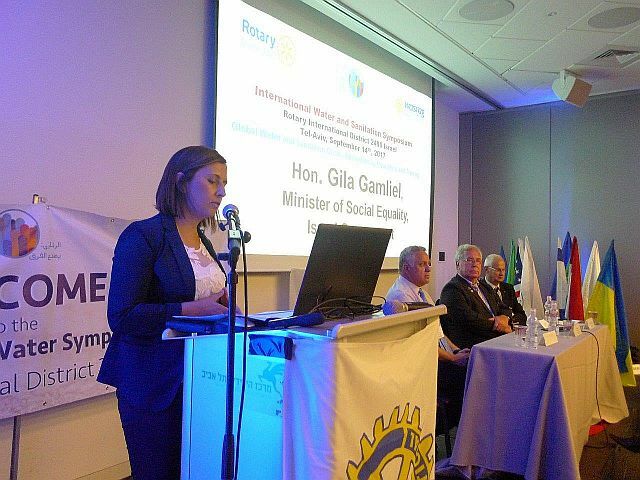 The Barrington Breakfast Rotary Club, District 6440 in partnership with Club Rotario Guatemala Sur, District 4250 has been engaged in global grant projects in Guatemala since 2012-13. We concentrated on the needs of people in one geographical area called “Sumpango,” Sacatepecaquez Department, all throughout these years and carried out the several major initiatives which expanded over time in both breadth and depth. One of these initiatives is related to Water, Sanitation and Hygiene (WASH) in schools and focused on disease prevention and treatment of children and improving hygiene conditions within the community. 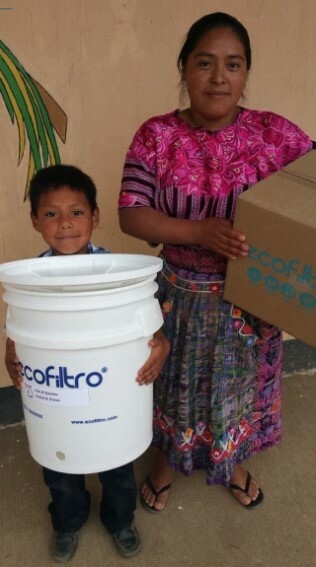 Nine elementary and seven secondary schools in Sumpango municipality, Guatemala are being provided clean (chlorinated) running water; 24/7 availability with local storage tank; drink and wash stations; gender specific flush toilets; septic tank; drainage improvements; repaired leaky roofs; upgraded kitchens with running water, sink and drainage; new stoves with ventilation to eliminate smoke in the kitchen and more.